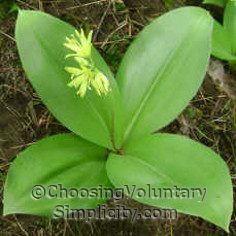 Bluebead lily (Clintonia borealis) is a member of the lily family and is also sometimes called yellow clintonia or corn lily. We often find it growing in large clumps near the red trilliums… both plants thrive in the moist, acid soil found in our wooded areas. The leaves are oval in shape with parallel veins and are very glossy. They range from medium to light green depending on the level of acidity in the soil and the amount of sun or shade. 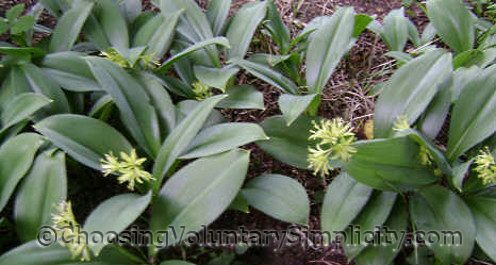 The leaves are fairly large, usually around six to eight inches long, and usually there will be at least three leaves growing from the base of each flower stem. The flowers grow from the top of the long stems in clusters of three or more flowers on each stem. 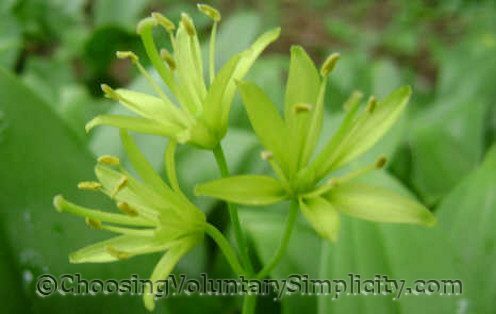 The individual flowers look like a miniature lily… bell shaped and with six pale yellow green petals. The flowers are less than one inch long. I have always thought this wildflower’s berries are more beautiful than its flowers. They don’t start out looking like much, just small, spherical green berries that form soon after the flowers fade. As the summer progresses the berries become larger and gradually start changing to white. Eventually they become a startling deep porcelain blue. 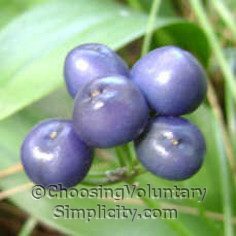 The berries are pretty to look at but not to eat… although they are not poisonous, they supposedly have an extremely nasty taste. I found a clump of these this summer and couldn’t find out what they were. I was so surprised to see this post and grateful too, thank you. 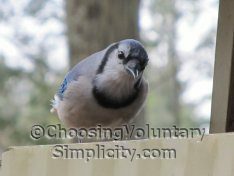 I always find very interesting posts here, keep up the good work!